Israel has again voiced its support for Kurds in the establishment of statehood in the Middle East. 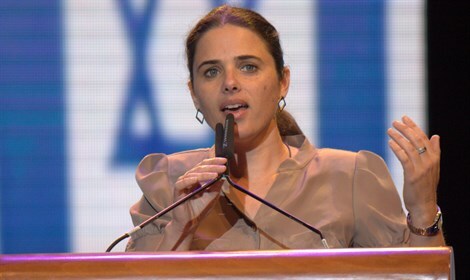 Justice Minister Ayelet Shaked urged the world community to recognize the right of the divided people to establish an independent state that would border with Turkey and Iraq. One can guess that in the vision of Israel the center of independent Kurdistan can be a regional government of Kurds in the north of Iraq. The future Kurdistan will start growing within its own territory commeasurable to the expression of will of the Kurdish enclaves in Turkey, Syria, and maybe, in Iran. The justice minister mentioned the “border” of Kurdistan with Turkey, which unveils the answer to the question why Tel Aviv reminded of the Kurds just now. A little prehistory: yet before the systematic destabilization of the Middle East and the so-called “Arab spring” provoked by the United States, Israel advocated, though not so openly, for the right of the Kurds to establish their own state. Israelis started insisting on this stand more confidently after May 2010 – the beginning of the large-scale crisis in the relations of Tel-Aviv and Ankara. Since then, the Israeli government has voiced its support for sovereign Kurdistan every time when it wanted to restrain the Turkish government. The given trend was evident for instance at the height of the terrorist threat to the Middle East and the emergence of the self-proclaimed “caliphate” of Jihadists - “Islamic State” in Syria and Iraq. In June 2014, after Mosul was seized in Iraq and the IS militants directly threatened to seize Baghdad, in Erbil, the capital of the Iraqi Kurdistan, they decided to launch a process of international-legal registration of their de-facto statehood. President of Kurdistan Massoud Barzani ordered establishment of an independent election commission. 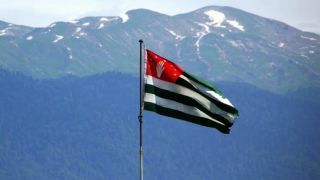 The new structure was necessary for the autonomous region to prepare for an independence referendum. Last but not least the Iraqi Kurds chose the path to the de-jure registration of their independence facing various opinions of influential Middle East forces, including Israel. On June 29 2014, Prime Minister Benjamin Netanyahu voiced the expediency of establishing independent Kurdistan. It is noteworthy that the statement by the Israeli prime minister was on the same day when IS Leader Abu Bakr al-Baghdadi declared the “Islamic State”. Not long after, Foreign Minister of Israel Avigdor Lieberman mentioned the establishment of independent Kurdistan as a fait accompli. It is noteworthy that Netanyahu’s bold statements and Lieberman’s not less bold formula followed the shipment of the first batch of oil to Israel via the Turkish port Ceyhan on June 20 2014. Yet oil is not the main interest of Israel’s aspiration to see Kurdistan as a sovereign state. Since the summer of 2014, “black gold” price has been just sliding. In this light, the oil factor of the Kurdish statehood has become less attractive for Israel. The change of the oil streams could not but affect Israel not rich in oil resources. A year after the first batch of fuel from Kurdistan – in summer 2015 – Israel started receiving nearly 75% of oil from the deposits in the north of Iraq under control of Kurds. Previously, Israel imported oil mainly from Azerbaijan, Kazakhstan and Russia. Now Tel Aviv’s focusing on the establishment of Kurdistan is expressed in the geopolitical context apart from the narrow economic benefits from direct trade relations with Erbil. Israel seeks to overcome the years-long crisis in the relations with Turkey that found itself in rather uneasy situation and now shows a special attitude to the issue. A series of confidential meetings of Turkish and Israeli diplomats with silent mediation of the United States after the known incident with Mavi Marmara ferry in the Eastern Mediterranean have brought once close partners in the Middle East to a level of bilateral settlement. One of such meetings took place in early December 2015 in Switzerland. Afterwards, the sides agreed over the need to overcome the remaining discrepancies too. The Israeli leadership apologized for the actions of its security services on May 31 2010 that resulted in death of Turkish civilians and agreed to create a fund and pay compensations. Only one condition of Ankara was left dissatisfied – unlimited access of Turkey’s “humanitarian aid” to the Palestinian enclave, the Gaza Strip. If Tel Aviv meets the demands of the Turkish authorities in this issue as well, Israel’s blockade of Hamas in Gaza will be failed and the balance of forces in that potential “hotspot of tensions” in the Middle East may change dramatically. Israel “remembered” about Kurdistan for the reason. If Turks insist on the right of the divided Palestinian people and advocate among others for lifting the naval blockade from Gaza, why shouldn’t Israelis do the same on the example of Kurds? They are also divided by many state borders in the Middle East and the reality of those borders is becoming more and more doubtful. Every time Turkey pushes for the infringed rights of Palestinians, Israel will be responding by pointing at Kurds. Representatives of this indigenous ethnic population of the Middle East are subjected to large-scale repressions in Turkey. Ankara is warring against Turkish Kurds in the southeast of the country. Killing at the grassroots all the attempts of its Kurdish citizens to get autonomy, throwing the army and police against them, Recep Erdogan’s political regime is vehemently advocating for the rights of Palestinians. Tel Aviv has decided reasonably to cool down the ardor of the Turkish leader and his team also through voicing the legal rights of Kurds. So far, Israel does not speak of a statehood of Kurds in Turkey. It is no secret however that the people divided with several borders will obtain new power when the flag of Kurdistan is raised in front of the UN Headquarters in New York. No matter if it is the Kurds of Iraq, Turkey, Syria or Iran. In this context, it is necessary to speak of another interest of Israel – Iran. The Jewish state is much more concerned over the developments around Iran rather than Turkey. Implementation of the nuclear deal of Iran with U.S. and other Big Powers has been launched. The sanctions against Iran are being lifted. Israel fears that the interests of U.S. and Iran in Middle East may coincide. To prevent this, Israel may use all its resources of influence. Tel-Aviv began promoting the idea of the danger of Iran’s ballistic missile program for the region and the world in general. To that end, they have been using such argument as “Iranian expansionism” into the Middle East for a long time already. This arouses concern of not only Israel but also many Arab regimes, especially the ones in the zone of the Persian Gulf. Leaders of the Israeli opposition say “We missed the chance to deal with the deal’s content; we cannot miss the chance to repair its implications.” These are the words of Tzipi Livni, the former foreign minister of Israel, one of the Zionist Union leaders, the most popular female politician in the country. Obliviously, most, if not all the members of Netanyahu’s Cabinet would support these words. Actually, the domestic political forces in Israel have achieved a consensus on what they call the need to restrain Iran by all means possible. Israel will need more efforts to weaken that Shia country from inside. The Kurdish issue may be useful here too. Iranian Kurds are less active in the political field comparing to their compatriots in Iraq, Syria and Turkey. However, they may “wake up” if their brothers in Iraq achieve their strategic goal. During the last years, nothing has been heard of PJAK (Party of the Free Life of Kurdistan), a local Kurdish organization operating in the northwest of Iran and declared as a terrorist organization. Israel’s reports on the need to give independence to Kurds may spark a wave of separatism in Iran too. Israel’s Justice Minister Shaked explained her call on the world community to respect the right of Kurds to statehood with destruction of the “national countries throughout the Middle East.” By the logic of the Jewish state, if Turkey and Iran seek establishment of Palestine, the process of the region’s reformation must be felt not only by Tel-Aviv but also by Ankara and Tehran. Actually, after the first disintegration impulses of the “Arab spring,” there is no better driver for such reformatting than the Kurdish factor.